I decided to make a costume for my 4 month old daughter’s first Halloween. We live in Wisconsin so I wanted something that would be warm enough to take her outside in but nothing too elaborate that it would be difficult to get her in and out of. She has a small stuffed owl that she loves so I thought an owl would be a good choice. I started by making a cape out of small scaraps of fabric and felt cut into triangles for feathers. 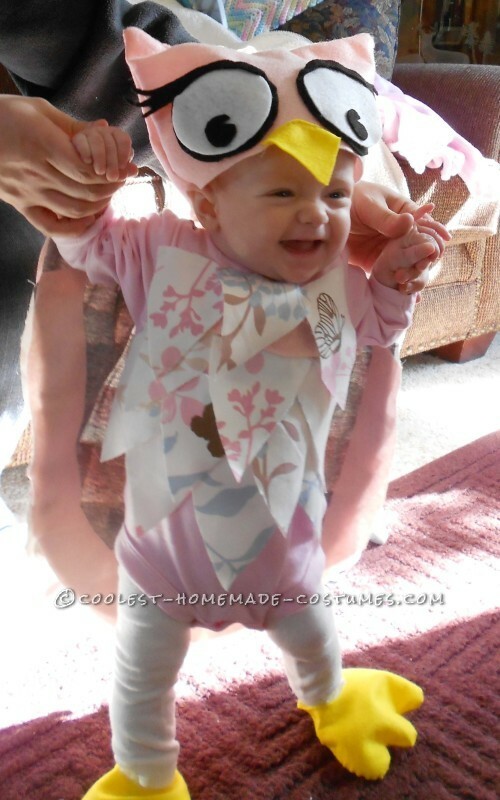 Then I sewed the cape to a long sleeve onesie and sewed the fabric feathers to the front of the onesie. I wanted a hat that would stand up straight so you could easily see the eyes and beak. I used felt and attached the hat to one of her baby hats so that it would stay on her head. I also used felt to make feet then dressed her in tights to keep her legs warm. The best part about this was putting her in her complete costume for the first time and standing her up at her grandparents house. We were all laughing and enjoying her costume which made her laugh. 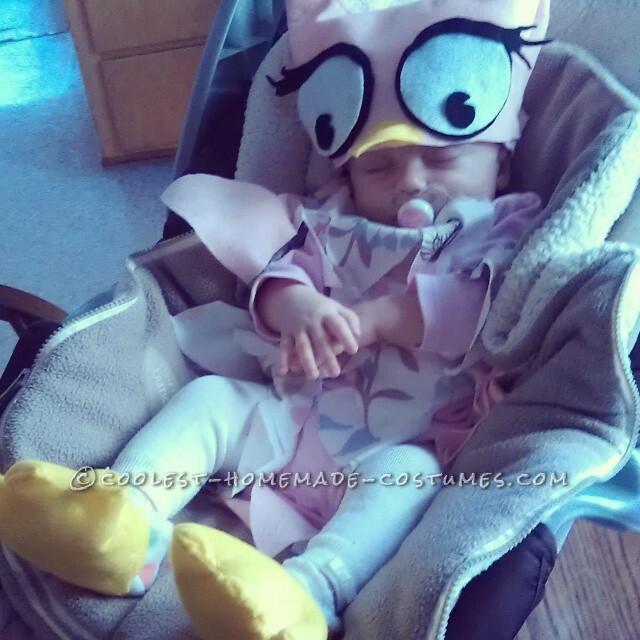 She looked just like a wobbly baby bird! After watching and greeting the trickor-treaters she clearly had enough and fell asleep in her costume. 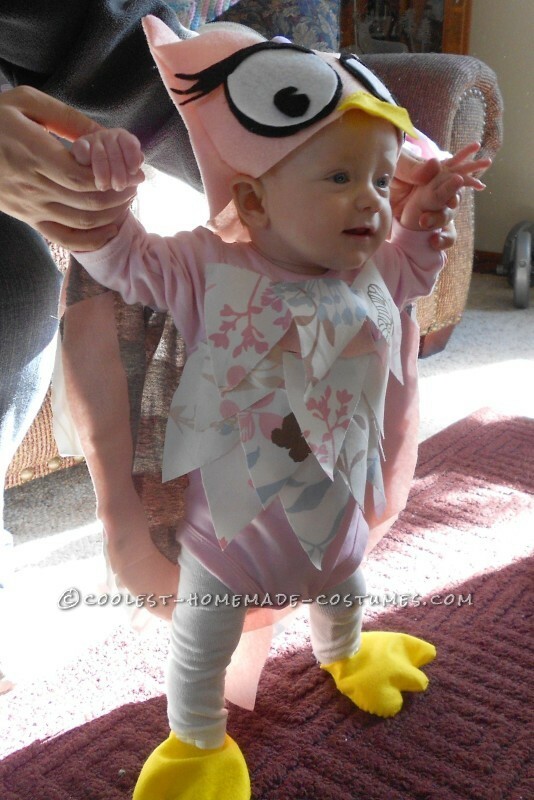 Homemade costume idea posted by Sara D.